The Rawalpindi born allrounder made his first-class debut against Peshawar in October 2004 but failed to amaze with bat or ball. However, in his second match, against Multan, Sohail Tanvir scored an unbeaten 97 while taking three wickets but has played only 17 first-class matches since (a total of 19 in three seasons).An thrilling young fast bowling prospect, Sohail Tanvir has already hogged the attention with an unorthodox action. His entry into the Pakistan team came unexpectedly, when Shoaib Akhtar was sent back home from the inaugural World Twenty20. His wrong-footed action often causes a lot of problems for batsmen as it becomes tricky to pick deliveries easily. He also bowls occasional left arm orthodox spin.Tanvir has established himself as a batting allrounder and his unbeaten 124 (his second first-class century) in the Pentangular Cup 2007 match against Sind further recognized that point. He also represented Pakistan Academy on their tour of Bangladesh and his fine all-round performance on that tour and against Australia A in the ODI series at home.His wrong-footed action, however, caused batsmen a lot of problems and emerged as the surprise package in the ICC World Twenty20. Although not picked for the Test team, Tanvir was back in Pakistan colours in the ODI series against South Africa. He went on to record a stunning 6 for 14 for Rajasthan in the IPL - the best figures in a Twenty20. Find Sohail Tanvir profile and stats of batting, bowling and fielding including latest updated news of Sohail Tanvir, videos and images at Hamariweb.com. 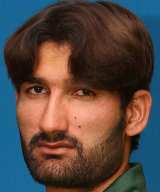 Also find detail Player profile and career statistics of Sohail Tanvir of Pakistan. Due to his different bowling action he is a unique type bowler but i dont know why he is not a regular member of our team. Lets see how Sohail Tanvir plays in world cup 2015 i do not like his game soo much or may be he never get a chance to make his fanshipe stronger lets see how he plays. Sohail Tanvir is very brilliant player he is fast bowler now Saeed Ajmal is out from cricket and not sure about hafeez too so i think sohail can fill their place. when you will say wrong footed bowlers its one and only Sohail Tanvir but he is lost his rathim and he is not as affective as he use to be in past. Sohail tanveer was a great asset but the coaches and also the selectors not utilize him properly that is why now his career in danger. please dont pick him in the playing eleven vs west indies.. play one more batsman in his place we dont need 2 fast bowlers in this match.. they dont play well against spinner so plz give them a chance..
Sohail Tanvir is a better player than a bilawal bhatii. he is better bowler then him and he should be in playing 11 . 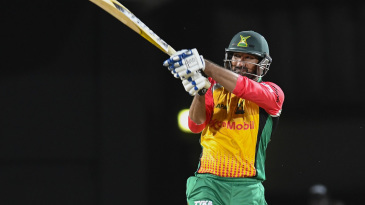 Sohail Tanvir - Find Sohail Tanvir of Pakistan Cricket Team complete player profile, number of matches, runs score, wickets & catches, Statistics, Records, Sohail Tanvir Latest News, Sohail Tanvir Videos, Sohail Tanvir Photos, and other Sohail Tanvir Cricket Team players.